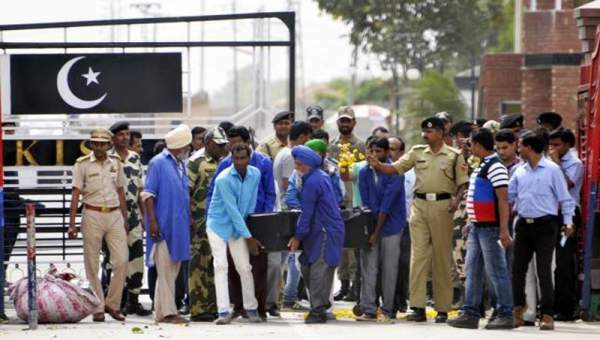 Later on, the body arrived at the Government Medial College in Amritsar for post-mortem at around 3:30 pm. Pakistani authorities have claimed that he died because of heart attack, but his family has challenged Pakistan’s claim and has sought a probe. His post-mortem has already been conducted at Lahore’s Jinnah Hospital. But, the Indian authorities has once again ordered autopsy once in India too to find out the actual reason for his death. A panel of three doctors will conduct it. Kirpal Singh’s last rites will be performed by his family in Mustafabad village of Gurdaspur when they will get the body back. The sister of Sarabjit Singh, Dalbir Kaur was also present. Sarabjit died in May 2013 in a Pakistani jail. Kirpal was held in a Pakistani jail on spying charges for over 24 years. The neighbor nation alleged that he crossed the Wagah border in 1992 and then, he was arrested. Earlier, he was sentenced to death in a serial bomb blasts case at Faisalabad in Punjab province of Pakistan. Later on, his conviction was reduced to 20 years. Meanwhile, his family pleaded Pak to set him free since then. Several injury marks have been found on the body. So, his family is claiming it a murder and not a heart attack. His nephew Ashwani Kumar said the following. Amritsar deputy commissioner Varun Roojam, cabinet minister Gulzar Singh Ranike, and officials were present at the joint check post to receive the body. Kirpal’s family members and Shiv Sena activists raised slogans against Pakistan when the body reached India. The Pakistan jail authorities sent the belongings of Kirpal along with the coffin. The luggage had bed sheet, family photographs, magazines and a few letters. His family got emotional seeing the stuff.